Thank you heaps, PANX! Great to see you again! Planet caught (NEMESIS?) 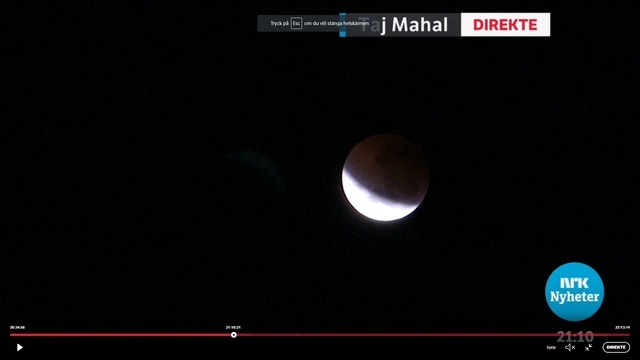 next to SELENE on lunar eclipse live streaming from Taj Mahal on Norwegian state television. After a few minutes showing the planet they cut off it from the camera and zoomed into SELENE. Screenshot, better quality I hope! I really hope everyone survived the intense moment or mega nasty rituals done around the world during the eclipse ok. I mean, the natural changes happen to planets are nothing bad, but what are waged in to create UNnatural something using the intense changing moments are bad news for all of us. And especially the Cs love using such marked timing. I only could continue to send out healing thoughts to all of us. Let's be strong. We are winning and that's why they are squealing hard. (´Д｀) I'm grossed out reading the articles. EWG also wrote up somewhere (I can't find the original docco!!!) that how to use fruit when, because they are considered very great for human health, however, some of them do have properties that can work against us as adverse-agents. (1) Pears---got rough fibers and can cause intestinal problems to be aggravated, if you are already suffering from it. (2) Grapes---avoid eating them before or after meals. It's high in sugar and starts to ferment as soon as it reaches intestine, causing gas creation and noisy tummy from it. (3) Apricot and Peaches and Citrus Fruits---need restriction in amount to take. They aggravate stomach lining. Citrus fruits could make liver and duodenum problems get aggravated from them. (4) Black cherry---bad for diabetic condition. Stomach related problems can get agitated by them. (5) Berries in general---don't eat them as after meal treats. They can cause indigestion. Humans were defeated by Godzilla, and leave Earth altogether. 20,000 years later, Humans came back to reclaim Earth after failing the immigration to another "promised land" planet. They discover that there are humanoids existing on Earth upon returning there, who use telepathic communications, and retain incredibly agile body and spiritual culture, and use MekaGodzilla derived nano particles (used as the TOXIC substance) to fight back what are the life forms that evolved with the Godzilla-immersed-nano-particle....the Earth Goo, for daily life of survival. When the Humans fought Godzilla the last time, they used Mechanical Godzilla called "MekaGodzilla", immersed with nano-particles that were created by scientist race that don't give a value to the Heart/Intuition or Emotion. The scientists are from an alien humanoid race. They take control of MekaGodzilla's nano technology to fight back the Earth-Godzilla, which was continuing its evolution for....20,000 years, from the last war was waged against it. The Heart part is brought into the story by another alien humanoid race, where they believe in the deep culture of "God speaking to them" and follow the revelations given to them through the sacred objects. Humans in mean while bring in the Emotional part into the whole story. "By the advent of the 21st century, much of humanity was dead, having been trampled over by a new master, Godzilla. A select few among mankind took to the stars in a spacefaring vessel called the Aratrum in search of “the promised land,” the planet Tau-e that could sustain human life. But the migration plan fails, and the remnants of the human race decide to return to Earth. But the distortions in space-time and the distance traveled means that mankind is returning to a completely changed Earth some 20,000 years later. The returnees, led by hero Haruo, prepare to take the fight to Godzilla based on a strategy that has been 20 years in the making. Carried out with the help of two alien species, the Exif and the Bilusaludo, the humans succeed in defeating Godzilla in a costly battle to the death. But the victory is short-lived. Rising from the depths of the planet is a new breed of monster, dubbed “Godzilla Earth.” Evolving for 20,000 years, the creature stands 300 meters high, weighs over 100,000 tons and wields such overwhelmingly destructive power that Haruo and company have no choice but to run for their lives. Meanwhile, Bilusaludo commander, Galu-gu is elated to discover that the Houtua tribe’s arrowheads are made of a nanometal or a self-sustaining metal. It had been developed in the 21st century as an “anti-Godzilla” killer weapon deployed at their decisive battle fought at the foot of Mt. Fuji, but had been destroyed before it could be activated in the form of a “Mecha-Godzilla.” The nanometal was its base substance, and proof that the manufacturing plant can still be used." Those who can watch the movie, please note Earth-Godzilla does NOT have Reptilian Eyes. The motifs are the nano-particles made of "science" vs evolved-nano-particles from Godzilla that became the entire Earth itself. Originally (I mean, the 1st ever Godzilla movie story), it was humans done the nuke blowing up and created the organic being, Godzilla. People fought against Godzilla because people needed to live without Godzilla crashing their towns. Is fighting back Godzilla really is THE way to be? Didn't we cause to create the problem in the first place? Then it's NOT Godzilla's fault, isn't it....? Are we trying to kill it for our convenience and refusing what the nature is trying to do? A Prophetic story line as far as I consider, with lots of things we need to think hard about. Someone's justice may not be considered as justice at all by another. Then what is the best thing we are meant to do? 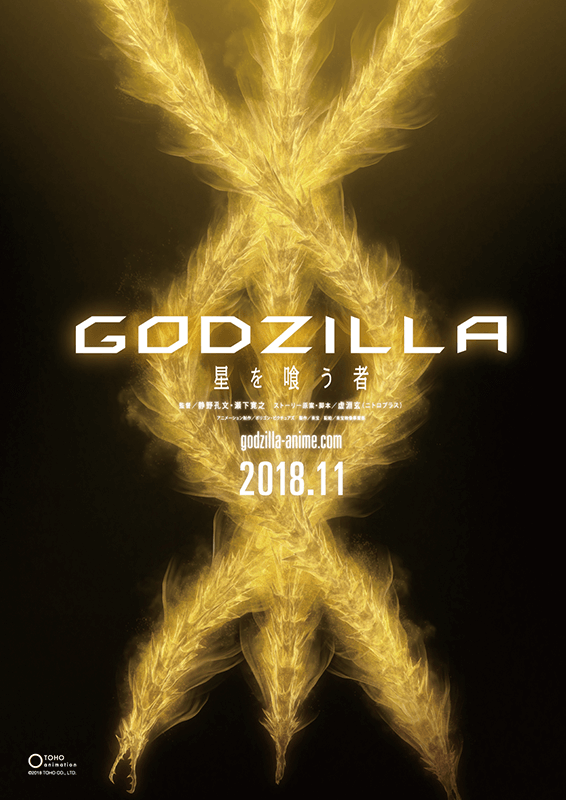 The current Anime series of Godzilla movies actually are encompassing the Black Goo business to the story line, I felt. And this time round, it's NANO vs NANO....like mother Earth derived Goo vs Black Goo. I wish you were here to watch it with us, Aco.... We had come this far. ...There is one answer that's been kept alive all the way through all the Japanese made Godzilla movies. That is; DON'T MESS WITH THE GENES. And I think that really IS the answer. Not only for the Earth but for the rest of the entire Universes as well. An important message from the Humanity to the rest of the Universes. Interesting video,they are talking about the fusing of our planet with an unknown planetery body [Fuse year].I' m not a scientist but the graphs are showing something interesting out there! Worth a watch with what is happening at the moment. interesting I wish I could trust the science in this but I'm not smart enough to question it. Exactly Blue,I'm with you on that one ! Science has shown to have to many short comings and unanswered questions for me to believe everything they say! Need people's opinion: Did it go BEHIND Jupiter or the FRONT? 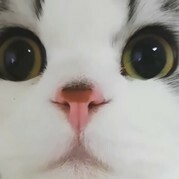 I actually thought it's not going behind but in front. The colours of Jupiter and the object are both fairly bright white. The filtering used by the software Mr.MBB333 uses might not detect the differences. When I closely looked at the filtered image, the blue colour surrounding the object and Jupiter merge together, and after the object exiting Jupiter's white dot, then it comes back with the blue ring around it. In the x-ray filteration, the exiting object leaves slimy connection (sorry IDK how to precisely express the stickiness of the surrounding colour change that's of the object to what's surrounding Jupiter's figure in the footage) merges with Jupiter's ring (which you see in the inversion-filters). What's puzzling to see is the indentation that appears straight after the "exit" of the object off Jupiter...there's a wooof! of lower half of circle almost something like a blast of a sort happened. And it's NOT the same direction to where the object is leaving, but basically 12 o'clock direction of Jupiter's surface by itself. If it was the blast from the shown bright object, then that would had occurred in the same moving direction of the object, yeah? Then what caused that change in the footage? Something in the Earth atmosphere in front of her telescope?? Anyone bright on these issues in CHANI somewhere to nail the answer?? Wow this may need to go to the Daily Surface Intel News thread but anyway, in a hurry.... The Alien Base copping something and MAYBE some UNWANTED OUTBREAK involved in behind the news story that's not told to us about...? "Federal and state authorities in armored vehicles and unmarked cars swarmed onto a sprawling Air Force base in Ohio on Thursday amid reports of an active shooter at a medical center. Workers at the base were told to shelter in place on the sprawling base. The base was placed on lock-down around 12:40 pm after a reported incident in building 830, the Wright-Patt Hospital. NBC4'S sister station WDTN later confirmed from a law enforcement source that a man has barricaded himself on the fourth floor of the base hospital. The Bureau of Alcohol, Tobacco, Firearms and Explosives said via Twitter it was among several agencies responding to the active shooter reports. Wright-Patterson sent a tweet saying it was responding to "a reported incident."" I have no idea if you people can watch it in English yet. The series has just began airing in Japan on 12th July 2018, and the story is quite complex, but I can give you some juicy bits of info to show you why I'm posting about this anime series now. It's an original story line made by a group of people. These days it's very rare to see a Japanese Anime production to be a completely original story based, because it had been far easier to remake an already well received Manga or Light Novels to be made into an anime series, because there are bunch of fans already being established to it that the anime would definitely be followed by them as well, thus spin off money can be assured for the sponsors. So why this one is going on its own? It's a huge risk unless they know it would be a huge success. Or...someone really wanted to evoke "special something" becomes a plausibility. Well....I think the people AGAINST the Cs are lurking at the back, helping it to be out there. The story's back bone is about the Hunters from Eurasia gathered to hunt the Vampires (= the Cs as motif) that are moving from China to Japan looking for the treasure belongs to Sirius blood liners. It's called "the Box of Sirius" (their ARK). We dunno wth that is yet. According to one of the bad guys who also choosing the path splitting away from the elders' idea of "if it's meant for us to die off quietly, then so be it" (that's THE way of thinking of Mu people, though....as you had seen from the crazy behaviours presented by the Cs side, they couldn't think in that way at all and go for the war till the end as you know from what's happening on Earth right now), the box would save them by gripping the total control over the Humanity for "them" to thrive on Earth. The main character↓ Juli (pronounced as Yuuli as in Russian name) is the Sirius blood liner, thought to be the last of it, ran from the devastated village when the whole bunch of Vampires attacked them. The blood liners are the hybrids---Wolverines. The story is unfolding right now and that's why even Wiki doesn't have the story section in it. Second of all, Pleiades and Sirius blood liners' populations are big in Japan. BTW, many hybrid people with stronger percentage of the hybridization show incredible physical strength, especially healing their wounds. I know of few people who possess such insanely amazing recovery rates compared to the "ordinary" (since we all are sort of hybrids, I also wonder about this term!) humans, and it is sobering to learn that if ordinary humans cop such problems like breaking the spine yet come back all fine within 4 weeks as if nothing had happened.....well, you are watching the "purer" hybrid people. Especially for wolverine people, that applys. But that's not only the point, there are heck a lot of deeply involved story lines with interesting background woven into it.The story line is bundling up loads of tears-welling sad sad saaaad stories of people losing their loved ones. The oppression against the minority people around the world is reflected. I can imagine that Russians to Asians including Europeans (that's why the Hunters are Eurasia based) watch the series with high interest when the series becomes available in English. They based the story around 1926. Japan still had army based intel officers which also looks like going to be involved in the story line. And that's also tied with the outcry of Japanese nation right NOW that them wanting to re-establish that intel group to fight against the world intel ops. ...As I said, LOTS are involved in the story line. If you get a chance to see it, I highly recommend you to check it out yourself. So far, the actions and the story telling techniques are pretty good IMHO. Found it with subtitles online, unity! Thanx for that thoughts! I totally failed to consider that possibility!! And if that edge disturbance was not due to the pixelation issue of the software....like you said, your idea nails the plausibility methinks! Consider this re: Jupiter Jupiter is 2.5 times more massive than all the rest of the planets in the Solar System combined. Jupiter's diameter is 11.2 times larger than Earth. In other words, you could put 11.2 Earths side-by-side to match the diameter of Jupiter. And Jupiter's volume is even bigger. Now how big was that object again? HUGE, mind bending huge! Kind of reminded me of images I've seen of comets exiting the sun. Interesting video unity. Yeah I was thinking how large that object was IF that thing went into Jupiter! If the object was in front of Jupiter, then the object being much closer in the view of the camera, and that's understandable. But if that thing went into Jupiter.............holy moly....! "According to the Nye County Sheriff's office, Bell's death "was the result of multiple drug intoxication from his own lawfully prescribed prescriptions."" 13/04/2018-->13, 4, 11-->13 and 11 have big meaning in the occult field. 4 is used for establishing something. 13+4+11-->28-->10-->1 ....Start rolling something new. 72 years old-->72 is another big one in the occult field. And 72 positioned in loads of important mathematical reflection of 3D world. BUT saying above does NOT mean someone pushed him beyond the line. MAYBE he sacrificed himself for the group willingly, not that he wanted to die that way, but might had been already agreed with others to get onto it in order to save some group. We wouldn't ever know. He took the secret with him, methinks. WHY this news got spreading all over the place NOW? We knew about it since 2016. Obviously loads of us would be invoked re: Nibiru. But would that be the exact thing? Besides that, such friggin heavy object to come near us (it's just 20 LY away from us) would truly affect us in human bodies and all planets around us physically and mentally, as all sorts of electromagnetic disturbances seem to have some kind of effects on our state of health. Let's remember that We Have the Power to Alter the Reality Together, if necessary. "An object with 12.7 times the mass of Jupiter, but a magnetic field 200 times more powerful than Jupiter's. This object is 20 light-years from Earth." "The object of interest in the new study, known as SIMP J01365663+0933473, was first discovered in 2016, and at the time was believed to be an ancient, massive brown dwarf. But last year astronomers got a better look at it, determining its surface temperature was about 825° C (1,517° F) and bringing its age down to a mere 200 million years – a relative baby in astronomical terms. But most importantly, it was found to not be a brown dwarf after all, but a very large planet. The difference between the two is still contentious, but a proposed definition is that an object with a mass of over 13 times that of Jupiter is a brown dwarf, because that's the point where deuterium fusion starts up in the core. At 12.7 Jupiter masses, SIMP just barely limbos under the bar." Scientists have found evidence of the first ever planetary-mass object beyond our solar system. Do you have to Disclose about it, if the House you are Selling/Renting is Haunted? I just caught late Art Bell speaking in his radio show in 2013 (youtube.com/watch?v=ljCyw8oFvoA) mentioning that they need to inform the realtor if the house on for sale was haunted. Is that really so in the US?! In Japan, the rule is to disclose to the 1st person moving in to the questioned location after the incident (be it a lone-death of elder to suicide case to the whole family being dead in there to rows of people rented/bought the place all died in weird manner like from major illness, accident, or suicide on the premises or away from it while owning/renting the property) which is called as the "Psychological Disturbance Case (that may affect the renter/owner)". So they just need one "buffering person" existing in the list, after whatever the incident happened. Then after that, the owner of the property don't need to say nothing about what really happened to the property. I'd love to find out what are the rules applied to Ghosts/Haunting/Death(s) happened to the houses for sale/rent in different countries. Mind you, cultural thingy I think, but if the property is facing to the grave yards, the new renter/to-be-owner are warned about that fact.